The gorgeous ornaments are made from two pieces of maple (the same design cut into both pieces of maple) with a piece of yellow veneer sandwiched between them. 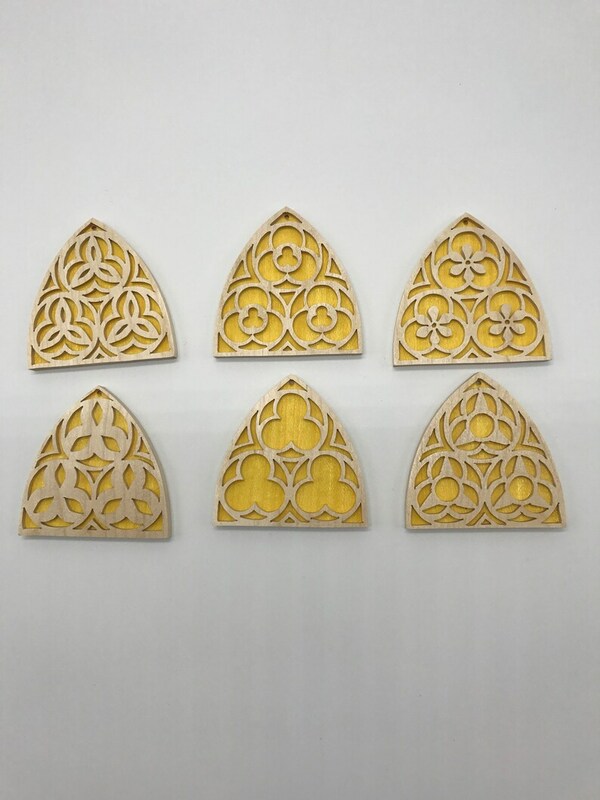 The set contains six different designs which are based on gothic church windows. Each ornament is 3 3/8” by 3 3/8”.